Marriott has rolled out the first promotion for the new Bonvoy program! With it, you’ll be able to earn double points at participating hotels starting with your second stay between March 19 and June 4, 2019. As an additional bonus, if you have any Marriott card like the Marriott Bonvoy Boundless™ Credit Card or the Marriott Bonvoy Business™ American Express® Card, you’ll earn an extra 500 points per weekend stay. If you don’t want to miss out on the next deal, subscribe to our email newsletter. Update: Reader Larry pointed out that some people are getting targeted with a different offer for double elite nights. Depending on how you value Marriott elite status that could be a better offer if you’ve got lots of cheap stays lined up. Normally you earn 10X Marriott base points per $1 spent on Marriott stays and this promotion only applies to the base points you earn. So even if you have top-tier elite status you’ll be earning the same 20X Marriott points as everyone else. One thing to also note is that you’ll only earn 5X base points for stays at TownePlace Suites, Residence Inn, and Element hotels. Marriott has been having all sorts of IT problems since the merger with SPG and with the introduction of Marriott Bonvoy. Personally, I couldn’t get the registration link to work at all. Others have had luck registering by going through to the end of the process, even if you see an error message. Afterward, check the “promotions” tab of your online Marriott account and the Double Take promo should be listed. I like earning Marriott points for transfers to Alaska Airlines so I’ll always register for deals like this, just in case I end up with a Marriott stay during the promo period. And you should too because you just never know when a travel opportunity might come up! But it likely isn’t worth changing your plans just to take advantage of this deal. 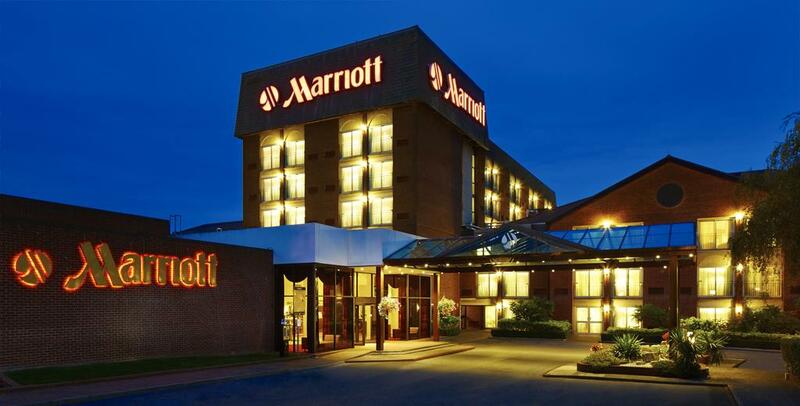 To qualify, you’ll need to sign-up for a new Marriott Bonvoy account through this link before June 28, 2019. Then you’ll just need to complete 2 paid stays at participating Marriott hotels before June 28, 2019, and you earn an electronic free night certificate valid for hotels costing up to 25,000 points. The certificate expires one year after being issued. Again, the terms say this is available only for new members of the Marriott Bonvoy program. It might be possible that if you previously had a Starwood or Marriott loyalty account and closed it before the transition to Marriott Bonvoy that you would qualify, but I doubt it. And please don’t create a dummy account in an attempt to game the promotion because you could risk having your other Marriott account closed. It’s not worth the risk. Check your emails and Marriott accounts because they are sending out a few different targeted promotions that are worth registering for. Check your inbox to see if you got an email or login to your Marriott account and check your promotions tab to see if you have any offers. I was hoping to qualify for the 10 elite night credits for 2 stays. But I wasn’t targeted for an offer and neither was my wife. Did you get anything? When did Marriott open a shopping portal? How did I miss this? What’s the rates per store? Anyone have any good/bad feedback? That’s a great deal! I remember the good ole days when the MegaBonus was earn a free night after 2 stays…sigh, we won’t be seeing that one again. What was the title of the email that your wife received for the free night with 2 stays? Same for me. No prize on second try. Not able to win another daily prize on my second try only the first. Fyi, they changed the rules, now you can win a prize each day.